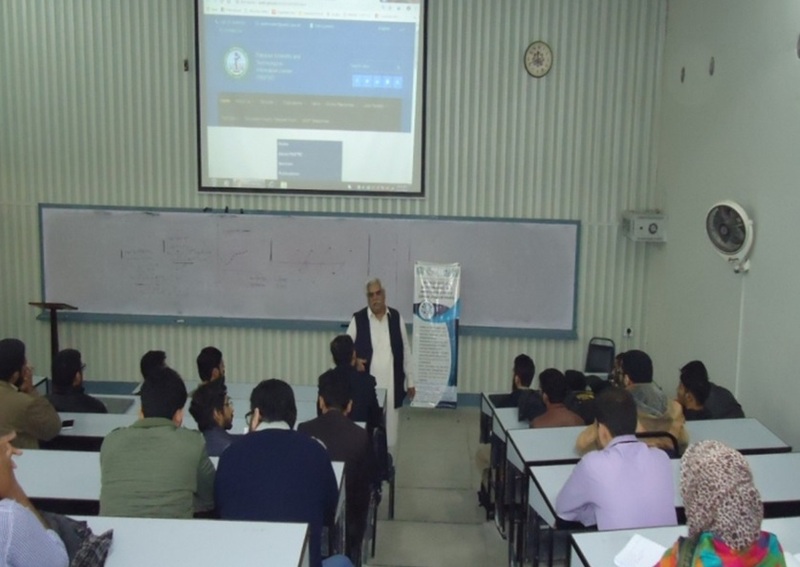 PASTIC Sub Centre Lahore organized an Awareness Seminar for Mechatronics & Control Engineering Department, University of Engineering & Technology Lahore, on December 5, 2018, at University of Engineering & Technology Lahore, for orientation of the students. 27 Research Scholars enrolled in MS/ M.Phil program, along with three faculty members attended the seminar. Lecture/Presentation was delivered about PASTIC services by Mr. Ali Raza Khan, Deputy Director (STI), PASTIC Sub Centre Lahore. The Chief Guest was the Chairman of Department, Prof. Dr. Ali Raza. Mr. Ali Raza Khan Deputy Director (STI), PASTIC Highlight the role of PASTIC and Its Services at Mechatronics & Control Engineering Department, UET. Lahore.